When I was twenty-five years old, it came to my attention that I had never had a girlfriend. At the time, I was actually under the impression that I was in a relationship, so this bit of news came as something of a shock. Why was Josh still single? To find out, he tracked down each of the girls he had tried to date since middle school and asked them straight up: What went wrong? The results of Josh's semiscientific investigation are in your hands. From a disastrous Putt-Putt date involving a backward prosthetic foot, to his introduction to CFD (Close Fast Dancing), and a misguided "grand gesture" at a Miss America pageant, this story is about looking for love—or at least a girlfriend—in all the wrong places. Poignant, relatable, and totally hilarious, this memoir is for anyone who has ever wondered, "Is there something wrong with me?" This winning memoir of triumph over tragedy tells a story that has deeply affected thousands of readers. When he was just nine years old, Josh Sundquist was diagnosed with Ewing's sarcoma, a virulent cancer strain that eventually claimed his left leg. Told in a wide-eyed, often heartbreaking voice, Just Don't Fall is the astounding story of the boy Josh was and of the young man he became-an utterly heroic struggle through numerous hospitalizations and worse to become an award-winning skier in the Paralympics and renowned motivational speaker. What emerges is one of the most fresh and sincere works of inspiration to come along in years. 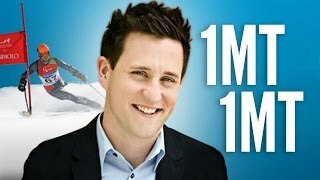 Josh Sundquist is a motivational speaker, comedian and emcee who has inspired audiences across the world ranging from Fortune 500 companies to schools to the White House. His clients have included Wal-Mart, HP, Heineken USA, Rite Aid, The American Cancer Society and RE/MAX. He's a in-demand keynote speaker for groups of sales people, educators, student leaders, and health professionals. At age nine, Josh was diagnosed with a rare form of bone cancer and given a fifty percent chance to live. He spent a year on chemotherapy treatments and his left leg was amputated. Doctors declared Josh cured of the disease at age thirteen and he took up ski racing three years later. 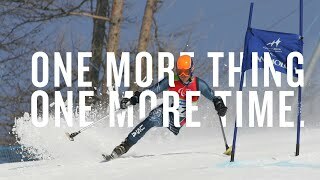 He trained for the next six years and in 2006 he was named to the US Paralympic Ski Team for the 2006 Paralympics in Turino, Italy. Today, Josh represents the United States in international competition as a member of the U.S. Amputee Soccer Team. On the internet, Josh is best known for his viral photos, especially his Halloween costumes. His videos have been viewed over 100 million times. He has hundreds of thousands of followers across his social media profiles. People Magazine named him to the 2017 "Social Media Power List." As a social media influencer, he's worked with brands like promotions for Chase, Chevy, Dairy Queen, AT&T, and Michelob Ultra. Josh is a Celebrity Ambassador for Children's Miracle Network and makes regular appearances at events and in the media to raise money for children's hospitals across the country. He was been featured on the back of Doritos bags (specifically, Spicy Nacho flavor) for his work on behalf of amputees. Josh has been featured on CNN, USA TODAY, and NPR. His first memoir, Just Don't Fall, was a National Bestseller and his second memoir We Should Hang Out Sometime was optioned for movie rights by a division of Disney. His debut novel Love and First Sight was published in 2017. His books have been translated into German, Italian, and Turkish and have been published in North America, Australia, New Zealand, Germany, Turkey, Italy, and Austria. Josh received a degree in business from the College of William and Mary and a Master's in Communications from the University of Southern California. He lives with his wife Ashley near the beach in California.